Karen was extremely helpful when I bought my first condo. She listened to what I wanted and was patient in helping me find it. Karen has also continued to stay in touch and helped me with issues after closing. Most importantly, she was willing to fight for me putting my best interests first which is exactly the kind of realtor I wanted. Karen was great to work with! Karen has been my agent for two home purchases and one home sale and she has done a fantastic job for me each time. 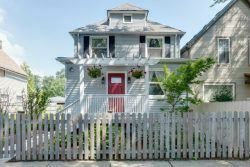 Karen and her team have an intimate knowledge of the Chicago neighborhoods and did an excellent job matching me up with places that matched what I was looking for. Any time I hear of someone looking for a new home, I refer them right to Karen. I would not consider using anyone else to help me with any future home needs I have. The Best Real Estate Team Around! You can’t go wrong with Karen and Lou. They were born to do this! They have been my real estate brokers for 2 decades and I wouldn’t dream of using anyone else. They are tireless and will do what it takes to sell your property as well as find the right property for you. I recommend them to all my friends and family. Their connections to the industry are priceless! Their ideas and insight are second to none! 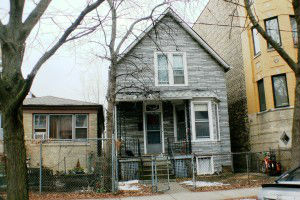 Unbeknownst to Lou and Karen, I had been looking for an investment property as a first time home buyer for over a year. I’d been through two real estate agents during that time. I found the Elias’ through a friend who had a good experience with them. We got an offer accepted in what seemed like a few weeks. Working with the Elias’ is like getting a two for one which means more responsiveness and more attention. Karen walked me through the home buying process even though I had heard it before and I still learned a few things. More importantly, I appreciated that she wanted to walk me through it even though she knew I thought I knew it all. Karen would call and follow-up with attorneys/sellers/lenders to make sure everything was being taken care of. We hit snags to get through closing (none of our faults) but the diligence of both Karen and Lou brought it to fruition. While Karen was working mostly in the office, Lou was ready to show me a place nearly always the day I wanted to see it. His knowledge of what to look for in the bones of a building was impressive. He was real at pointing things out that could be problems and was easy to be around. Neither one was pushy on a property (which I experienced in the past) while also offering me their opinions and knowledge about the industry/market when I asked for it. I would highly recommend this team to anybody looking to buy a home. I know I’ll be using them again. 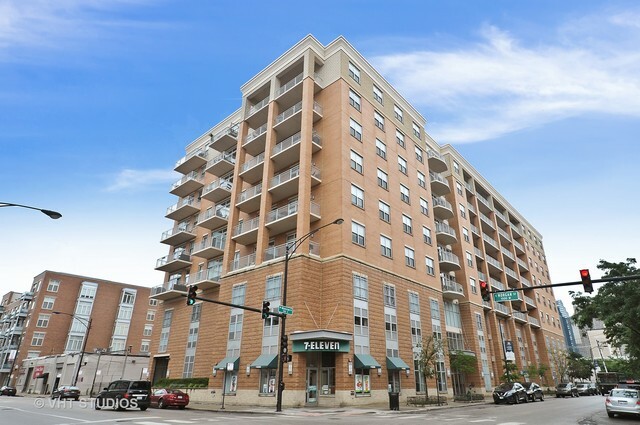 Karen and Lou have helped me through 2 purchases and 1 rental and I’ve recommended them to anyone I know looking to buy, sell, or rent in Chicago. For my condo purchase – my first ever home buying experience, Karen talked me through the whole process in plain English and made it easy to understand. She explained each step way before it happened so I knew exactly what to expect during the purchasing process, which minimized surprises and stress and made it as easy as it could be. She is incredibly patient with first-time buyers and sellers and spends as much time as necessary explaining everything. She answers phone calls and emails with lightning speed and never rushed me through anything, always taking as much time as I needed for each step in the complicated process. For my second purchase- a new construction townhome with my significant other- Karen and Lou lived up to my expectations from my first purchase experience. They took the time to explain the differences between a new construction purchase and existing buildings, buying alone vs. with another person, and made sure I was set up with the best inspector, attorney, and other vendors needed who have more experience with new construction. Their vendor recommendations have always been spot-on and their attention to detail with each type of purchase has never let me down. Karen also handled the listing for my condo when I rented it out and had to find a tenant, and also made that process easy as pie- handling all of the leasing paperwork and explaining my rights and duties as a new landlord, all of the showings, and helping me find the best possible tenant. It was rented literally 3 days after she listed it! 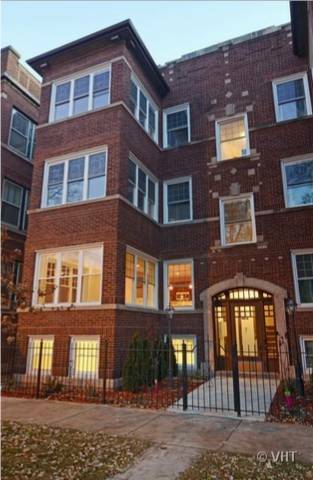 I can’t recommend Chicago City Homes enough- especially for first-time and new homeowners, sellers, and renters. Their knowledge base and experience is second to none and I won’t trust anyone but Karen and Lou with my real estate questions and concerns. Thank you Karen and Lou! Karen and Lou are great! We were first time home buyers and Karen and Lou helped us throughout the entire buying process. They were easy to get a hold of via phone, email, and text. They went above and beyond to get us in to see units as soon as possible and gave us expert advice on neighborhoods and building associations. With Karen and Lou, buying a home was straight forward and thoroughly explained. We couldn’t be happier with the service we were provided. If you are looking to buy or sell your home Karen Breen Elia is the women for the job! 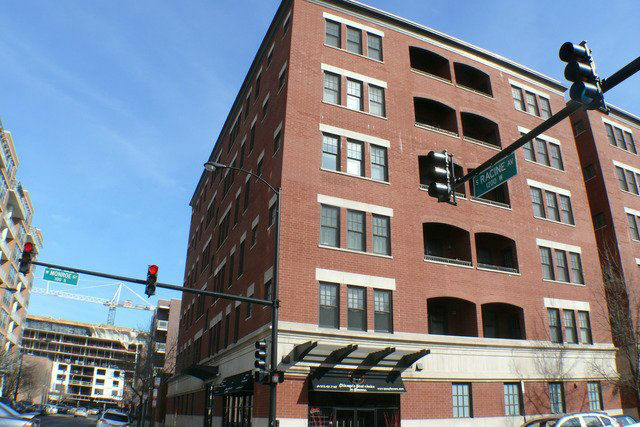 Karen helped my husband and I find our first home in the West Loop of Chicago back in 2010. It was our first time buying real estate and she took the time to explain the entire process and ensured we felt comfortable with all the steps that needed to take place in order to get us into our dream home. She did a wonderful job showing us a variety of different places, and used her many years of experience to guide us in selecting the perfect first home for us! When we closed on the condo Karen found for us it was a dream come true for us! In March of 2014 we decided it was time to sell as our family was growing and we needed more space. We immediately contacted Karen and we knew she would be able to help us sell quickly and at a great price. We had a newborn at home and Karen was very considerate of the fact that our schedule had to revolve around the baby and that it would be difficult for us to be in and out of the condo for showings. Her strategy was to pre-release the listing to a select group of realtors in the city, and then officially list on the home on the MLS the next day. She asked us to set aside two evenings where she could show the home and between the 2 nights I believe she had 18 showings. Within 48 hours we had 6 offers on the condo and we sold our place for 26K over asking! It is because of Karen’s knowledge, experience, and connections in the market that we were able to sell our home so quickly with minimal inconvenience to us. We loved working with Karen and can’t thank her enough for all her help! We bought and sold our condo, and later bought our “forever” house with the help of Karen and Lou. We sold in a buyers’ market, and bought in a sellers’ market, and definitely couldn’t have done it without them! Every time something unexpected came up, their experience was crucial to keeping the sale on track. They are quick to respond to questions and were able to provide lots of advice both before and after the sale. I highly recommend Karen and Lou. When I embarked on the monumental task of exchanging my small condo for more living space, I thought the process would be complicated and stressful. Placing your home on the market while simultaneously trying to find a new place to hang your hat seemed like a daunting task. Thankfully I had Karen Breen Elia and Lou Elia on my side. As someone who is used to doing things on her own, I had never before realized how empowering it can be to have advocates on your side with the expertise and savvy to make the process as easy as pie. Lou and Karen are the loveliest people I’ve ever met, but more importantly they are geniuses when it comes to real estate. They helped me and my wife sell our condo and purchase a new one in a few short months. 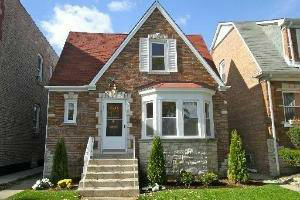 Karen and Lou listened to our requirements and offered sage advice and suggestions for selling our home. Karen was always in close contact, keeping me updated on showings and feedback. Her marketing techniques are second to none. When showings slowed down she immediately engaged in an email campaign to promote our condo. 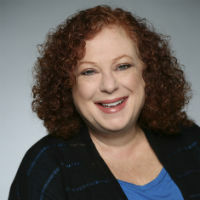 Karen has strong connections in the real estate community and was able to tackle issues and problems that arose throughout the sometimes complicated selling process. In fact, Karen was always one step ahead of everyone else and so was able to deal with issues quickly and efficiently. Karen and Lou are the perfect team. I never felt like a client, but like family. Lou was invaluable in our search for a new condo. He happily accompanied me and my wife to countless showings even in snowy conditions and was sure to get our feedback afterward. When we were ready to buy, both Lou and Karen jumped into action to ensure that we put forward the best offer possible and continued to work with the seller’s agent to make sure everything was done to our satisfaction. She also connected us with an excellent inspection service and continued to offer advice and suggestions as we negotiated our new purchase. Karen and Lou are simply the best advocates you can have in real estate. They know how to get things done, anticipate issues and problems, and then deal with them to produce the best outcome for their clients. 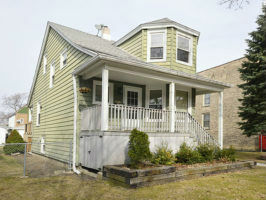 I would recommend Karen and Lou to anyone looking to sell or buy in the Chicagoland area. There is simply no one else I would use. We had the pleasure of working with Karen & Lou hunting for a single-family home in Chicago last year after my sister-in-law recommended them.. They were both so genuine & truly made the entire process so easy for us. 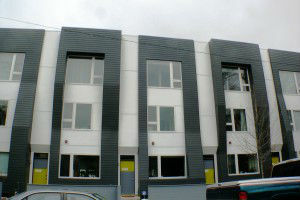 We were first time buyers, so it was a learning experience for us as well. Karen really took her time educating us about the whole process, the various neighborhoods, & helped us find that perfect property. We’ve recently celebrated one year in our new home & couldn’t be happier. 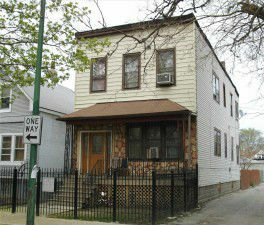 If you’re in the market to buy or sell, do yourself a favor & contact Karen at Chicago City Homes. Karen and Lou guided us (and stuck with us) through several offers, changed priorities, and sticky summer house hunting, eventually finding our dream home. They were very helpful, organized, attentive, and thoughtful through the whole process. “I won’t hesitate to recommend you." Thanks so much for your help throughout the home buying process. You made it as easy and painless as I suspect it could be. I won’t hesitate to recommend you to friends and family for their real-estate needs. I will use her again in a heartbeat.